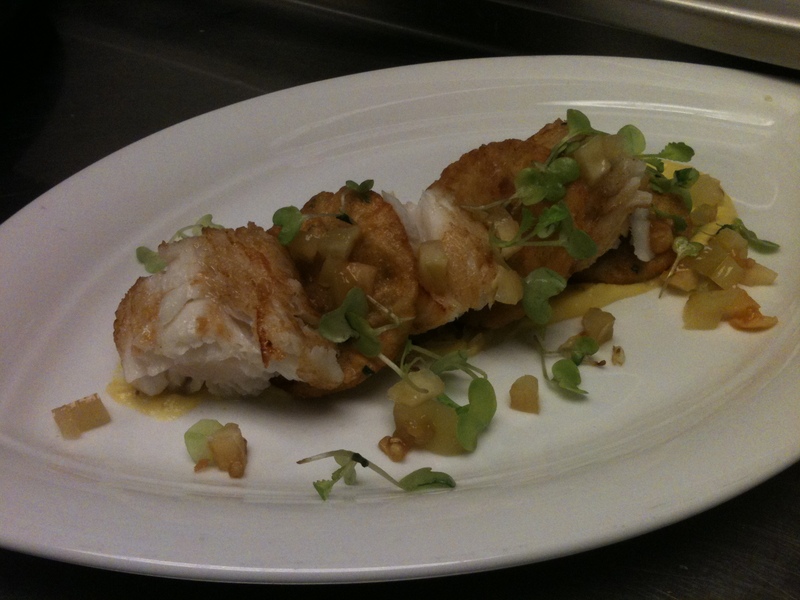 Turbot Filet, Rolled and Poached, Flash Fried, Potato Tuiles, Cabbage, Cauliflower, and Pickled Green Tomatoes. English Pea Ravioli, Peas, Radish, Crawfish, Pickled Pig Ear, and Pea Tendrils. 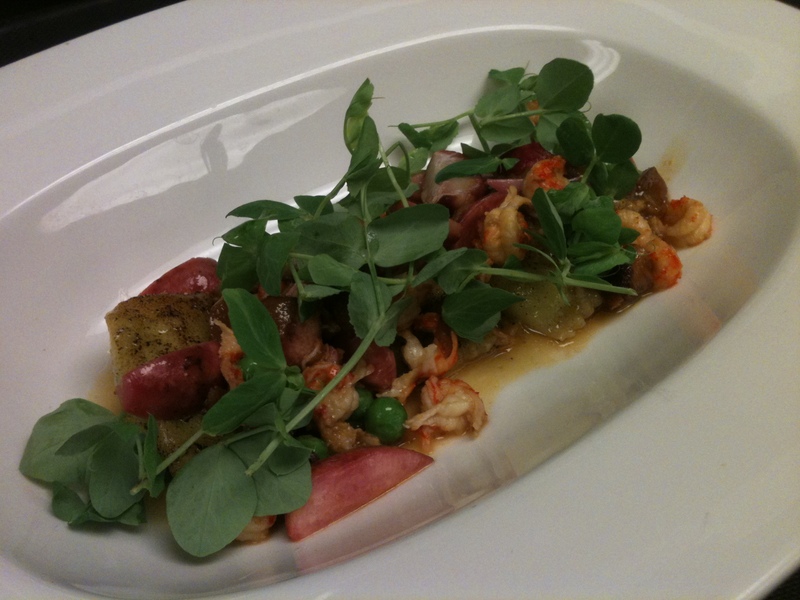 This entry was posted on May 31, 2011 at 11:31 pm and is filed under Chef with tags Crawfish, english peas, Ravioli, Turbot. You can follow any responses to this entry through the RSS 2.0 feed. You can leave a response, or trackback from your own site.